As a retail owner, you have a plethora of options for finding goods for your business. The cosmetics industry is one that is ever growing with no end in sight. But, with so many unreputable suppliers out there, it can be tricky knowing who's legit. The Internet has opened the door to the world of middleman scammers. These people dive into your profits by marking prices up and charging unnecessary fees. After you make a payment, they'll ship your order to the actual wholesaler. This obviously will complicate things drastically. So, it's good to know what to look for to find a reliable source. 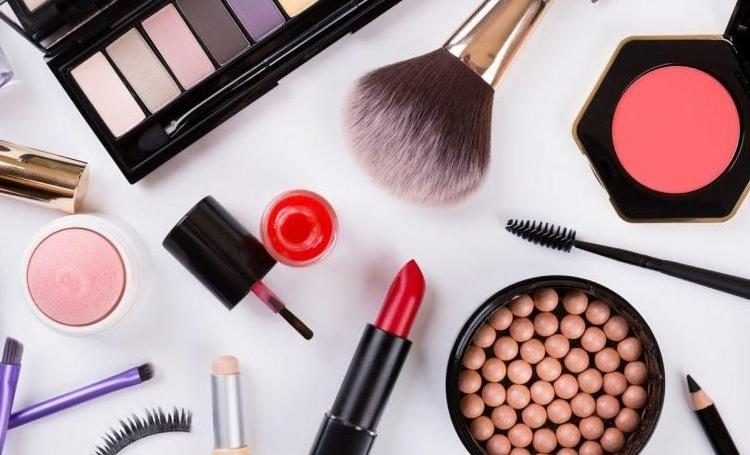 Here are our 5 things to look for in a wholesale cosmetics supplier. This starts the minute you begin your internet search. What is their reputation online? Are consumer-driven sites flooded with bad reviews of their company? A legitimate cosmetics wholesaler isn't going to have that. For instance, let's take a look at bareMinerals. This beauty brand mecca is known as a distributor of Bare Escentuals makeup and skincare. Bare Minerals has countless retail stores of their own across the states. They also sell to many of the country's largest retailers, including Sephora and MAC. A quick Google search will confirm their authenticity. But, you should also check other relevant sites specific to the wholesale industry to check credibility. When you visit their site or their manufacturer's, you're met with complete transparency. They explain their supply process to retailers upfront. An ingenuine cosmetics supplier isn't going to be as open. They're going to leave you feeling unsure about the entire process. As mentioned above, some suppliers will try to get away with charging you ridiculous fees. They claim that you have to pay a premium or monthly fee for their services. This is something you should avoid at all costs. When cosmetic suppliers do this, they're merely skimming off the margin. They're taking away what should be yours. The vast majority of wholesale cosmetics (at least the reputable ones) won't do this to you. There's no monthly service fee, no sign-up fee, nothing. When working with a wholesaler, your cost comes directly from your order. Typically, they'll expect a buyer to pay for the order upfront if they're working with a new business. But, for a supplier in any industry, that's completely normal. They're more apt to work with you on payment terms down the road once you build a relationship. Cosmetic scammers will get you by making lavish promises. They claim their services will make you money. But, you know what they say about anything that seems too good to be true. It doesn't matter if your go-to foundation is Clinique, and you know the product in and out. You still need to order it from the wholesaler to inspect its quality. With a great wholesaler, and frankly the only one you should work with, there won't be a difference. Some seedy wholesale cosmetics have been known to counterfeit makeup. So, for obvious reasons, you need to ensure that's not the case. It's better to have this discovery in your own hands before launching into the store. A great cosmetic supplier won't charge you through the roof for samples either. They understand their market and the need for quality inspection. Prices range between suppliers, so you'll have to work with an account representative. You could work on a negotiated amount if you make a purchase. The wholesale cosmetics supplier you want to work with will also want to work with you. And, no, we don't just mean they want to take your money. Rather, they're looking out for you. They're making recommendations and offering suggestions when they think they should. It's likely they've worked with countless other retailers, so they know the speed of things. But, they should be willing to listen to your own specific needs and offer support as needed. Ultimately, when the product leaves their hands, it's your own job to make your profit. But, that doesn't mean they should just leave you high and dry. The right wholesaler will build a relationship with you to understand your market. Since what you sell impacts what you buy, they should be invested in knowing your business. As we mentioned above, you'll want a supplier who's professional. This comes into play again when working with an account representative for orders. Is this person easy going? Are they easy to talk to? Are they informative? No, these factors aren't necessarily a make-it or break-it. But, since you should be developing a relationship with them, it's good to find someone you work well with. The last tip we'll leave you with is to examine wholesaler's product in the market currently. You should know how well it's performing. The cosmetics industry is growing ever rapidly. Currently, it's projected to exceed $62 billion in total sales. So, what does this mean for a retailer? Basically, that there are a lot of big players in the industry. But, for every big, reputable player, there's 50 other of the "small guys". You need to really spend time evaluating who you want to place in your stores. You have to have an idea of how the brand's performing and what is and isn't selling. Then, you need to ensure that your wholesale cosmetics supplier can meet that. Do they offer what you need? Are they limited in supply? Are they trying to push other products on you? That reads bad news all over it. You want to make sure your supplier can meet all of your needs. Looking for a Wholesale Cosmetics Supplier? Breaking into the cosmetics industry is a great opportunity right now. It's a growing market and output for wholesalers is expected to keep expanding. So, as a retailer, there's no better time than to find a supplier for your business. But, as we mentioned above, you don't want to work with just anyone. Instead, use our database to research credible wholesalers to fulfill your cosmetic shelves. We showcase wholesalers and manufacturers from all over! Get started today.